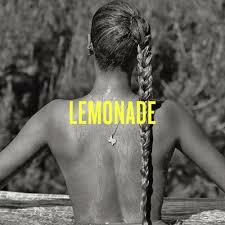 Lemonade, Beyoncé's visual album dropped on HBO last night with some incredible new songs, but what I find to be the genuis is the story telling in the spoken word that the singer sprinkles abundantly throughout the hour-long album. It wasn't a surprise to find that Lemonade features words and lines from feminist writer and poet, Warsan Shire. Remember the inclusion of Chimamanda's We Should all be Feminists' in the 2013 Beyonce album? Click here if you want to watch again. Some speculate that the songs refer to the cheating allegations that has plagued Beyonce's and Jay Z's marriage in the past few years. But Lemonade is not just about Jay Z and whether he cheated on Beyonce or not. It also addresses her father's cheating on her mom and speaks to every man out there cheating on his spouse or partner. You remind me of my father, a magician... able to exist in two places at once. In the tradition of men in my blood, you come home at 3 a.m. and lie to me. What are you hiding? I whipped my own back and asked for dominion at your feet. I threw myself into a volcano. I drank the blood and drank the wine. I sat alone and begged and bent at the waist for God. I crossed myself and thought I saw the devil. I grew thickened skin on my feet I bathed in bleach and plugged my menses with pages from the holy book, but still inside me, coiled deep, was the need to know... are you cheating on me? If it's what you truly want... I can wear her skin over mine. Her hair over mine. Her hands as gloves. Her teeth as confetti. Her scalp, a cap. Her sternum, my bedazzled cane. We can pose for a photograph all three of us. Immortalized... you and your perfect girl. I don't know when love became elusive. What I know is, no one I know has it. My father's arms around my mother's neck, fruit too ripe to eat. I think of lovers as trees... growing to and from one another. Searching for the same light. So, what are you gonna say at my funeral now that you've killed me? Here lies the body of love of my life, whose heart I broke without a gun to my head. Here lies the mother of my children, both living and dead. Rest in peace, my true love, who I took for granted. Most bomb p*ssy who, because of me, sleep evaded. Her god listening. Her heaven will be a love without betrayal. Ashes to ashes, dust to side chicks. Her hips grind, pestle and mortar, cinnamon and cloves. Whenever he pulls out... loss. Dear moon, we blame you for floods... for the flush of blood... for men who are also wolves. We blame for the night, for the dark, for the ghosts. Every fear... every nightmare... anyone has ever had. You must wear it like she wears disappointment on her face. Your mother is a woman and women like her can not be contained. Mother dearest, let me inherent the earth. Teach me how to make him beg. Let me make up for the years he made you wait. Did he bend your reflection? Did he make you forget your own name? Did he convince you he was a god? Did you get on your knees daily? Do his eyes close like doors? Are you a slave to the back of his head? Baptize me... now that reconciliation is possible. If we're gonna heal, let it be glorious. 1,000 girls raise their arms. Do you remember being born? Are you thankful for the hips that cracked? The deep velvet of your mother and her mother and her mother? There is a curse that will be broken. Something is missing. So many young women, they tell you, "I want me a hu — see, all them make me feel better than you." So how we supposed to lead our children to the future? What do we do? How do we lead them? Love. L-O-V-E, love. Mm-mmm-mmm. Hallelujah, thank you, Jesus. I just love the Lord, I'm sorry, brother. I love the Lord, that's all I got. You are terrifying... and strange and beautiful. The nail technician pushed my cuticles back... turns my hand over, stretches the skin on my palm and says, "I see your daughters and their daughters." That night in a dream, the first girl emerges from a slit in my stomach. The scar heals into a smile. The man I love pulls the stitches out with his fingernails. We leave black sutures curling on the side of the bath. I wake as the second girl crawls head first up my throat, a flower, blossoming out of the hole in my face. You're the magician. Pull me back together again, the way you cut me in half. Make the woman in doubt disappear. Pull the sorrow from between my legs like silk. Knot after knot after knot. The audience applauds... but we can't hear them.